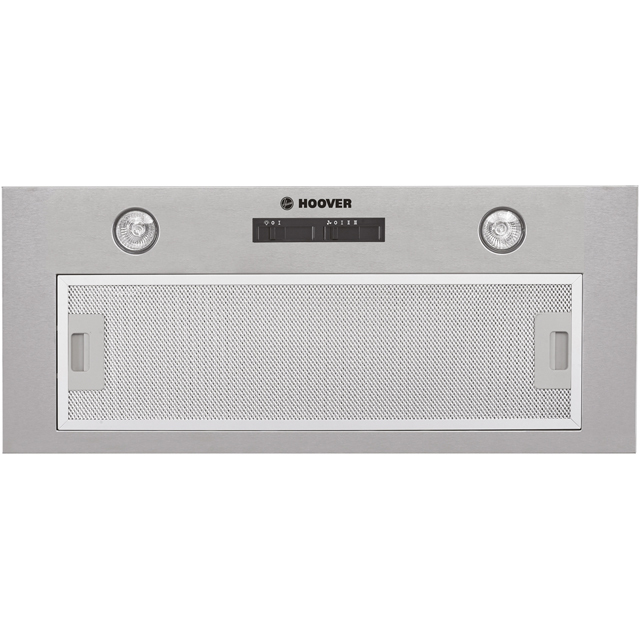 Rid your home of cooking odours with this canopy cooker hood from Hoover. At 60cm wide, it’s suited for use above a standard 4-burner hob, while the maximum extraction rate of 198 cubic metres per hour will quickly clear the air in any smaller kitchen. It has a noise level of 67dB, which is at the louder end of the scale, similar to a lively party with friends. And it has a built-in LED bulb to light up your pans, making it ideal if you’re cooking late into the evening – just use the slider controls to switch it on.